Camp Chikopi was founded in 1920 and is a timeless, adventure-filled summer sports camp for boys aged 7-17. Campers will experience the countryside and enjoy the great outdoors Parry Sound, Ontario right on Ahmic Lake. Our campers attend from all parts Canada and the rest of the world. 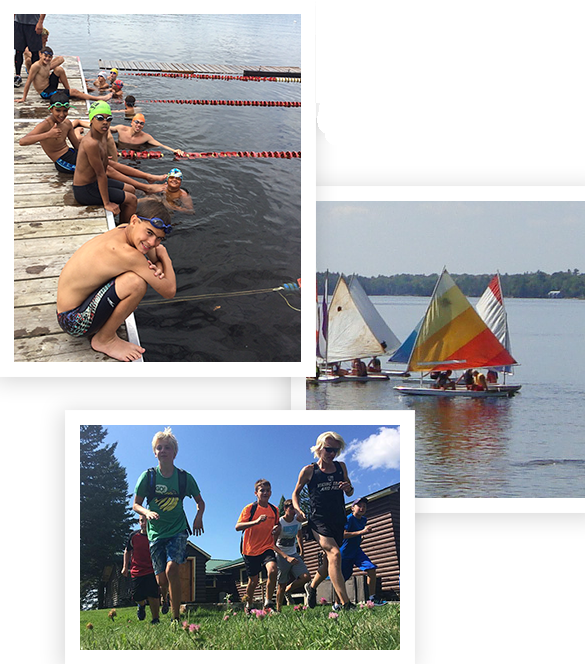 Campers are immersed in a variety of sports, adventures, and challenges, including canoe trips, triathlon, swimming and running races. There are many special events that allow your child to gain the skills and confidence he needs to achieve and surpass their goals. Your son will return home with life-changing memories and friendships that will last a lifetime! An American dollar goes a lot further in Canada this summer! Swimming, sailing, soccer too, no matter what the weather is there’s always something to do. So if your summer’s gonna be a bore come on to Chikopi we’ll always take some more. We have over 40 original cedar strip canoes. Camp Chikopi’s program focuses on individual development. International campers bring their passion for the game. Chikopi is the World's first swimming camp. Chikopi’s Triathlon program is growing more powerful. Sail, Kayak, Competitive Canoe, swimming and 3 beaches.